Sam Young said the interviews where youth are asked if they're following the law of chastity led to inappropriate conversations and shaming. SALT LAKE CITY (AP) — A Mormon man who led a campaign criticizing the church’s practice of allowing closed-door, one-on-one interviews of youth by lay leaders that sometimes included sexual questions has been kicked out of the faith following a disciplinary hearing. 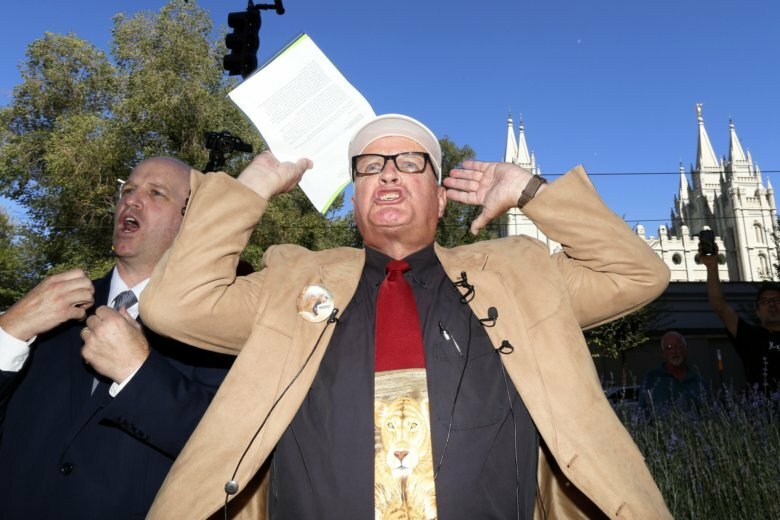 Sam Young read a verdict letter for the first time Sunday that had been delivered to him following last week’s hearing with local church leaders in Houston. Young and his supporters say the interviews where youth are asked if they’re following the law of chastity led to inappropriate conversations and shaming. Young called his excommunication “a supreme disappointment” and was emotional at a news conference attended by about 100 of his supporters. Young, 65, recently finished a 23-day hunger strike in Salt Lake City near church headquarters to bring attention to his cause. In March, he organized a protest march of about 1,000 people who walked to church headquarters. The Church of Jesus Christ of Latter-day Saints doesn’t comment on disciplinary hearings to respect people’s privacy. Young becomes the third high-profile Mormon who led protests about church policy to be excommunicated in recent years. Kate Kelly, founder of a group pushing for women to be allowed in the religion’s lay clergy, was excommunicated in 2014. John Dehlin, who runs a podcast that allows doubting Mormons to tell their stories, was kicked out in 2015. In his summons to the disciplinary hearing, church leaders told Young he was facing excommunication because he encouraged others to vote against church leaders and because he organized more than one public action that expressed opposition. Young and the Mormons and non-Mormons who back his campaign say the question is unnecessary and inappropriate. In June, the faith, for the first time, posted the list of questions lay leaders are supposed to ask during the interviews. Mormon leaders say the interviews are an important way for bishops to get to know youth better and determine their religious habits and obedience to God. Young’s ouster means he’ll be leaving a religion he’s been a member of his entire life. Mormons usually have tight-knit connections with other people in their congregations, bonds forged by spending worship and social time together. Excommunicated Mormons and those not in good standing can’t go inside temples where members are married and other ordinances such as baptisms for dead relatives are performed.